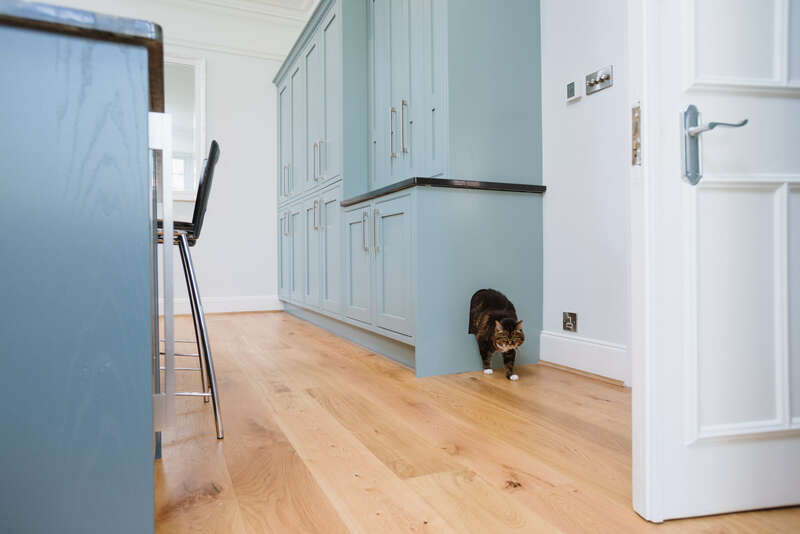 It’s our belief that the kitchen is the heart of the home for all and this design involved every member of the family, including the cat who has their own personalised cupboard! 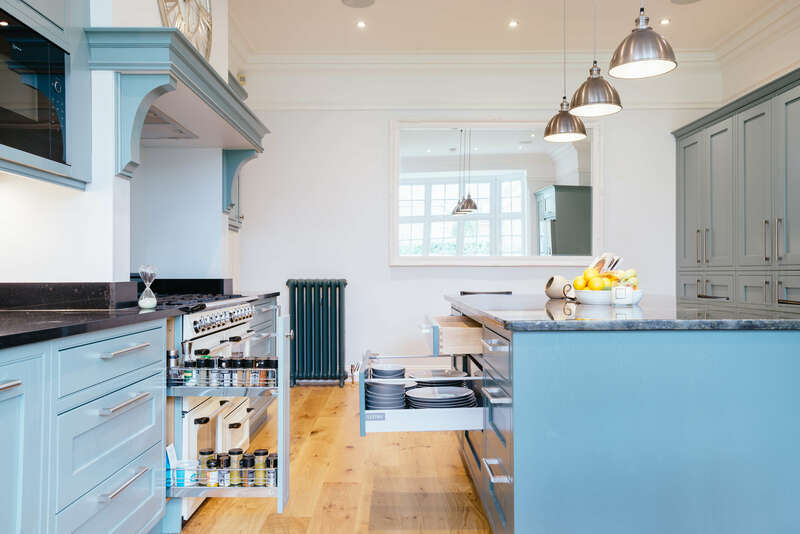 Over the Smeg cooker a beautiful centre-piece is created with a bespoke mantle which compliments the in-frame style cabinets which fit the kitchen perfectly in this grand West Sussex home. 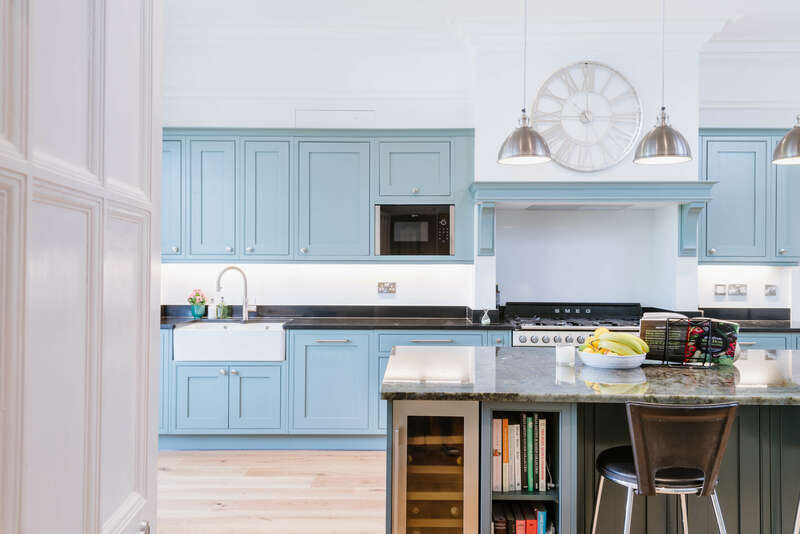 The cool blue cabinets are offset by the deep blue/black island. 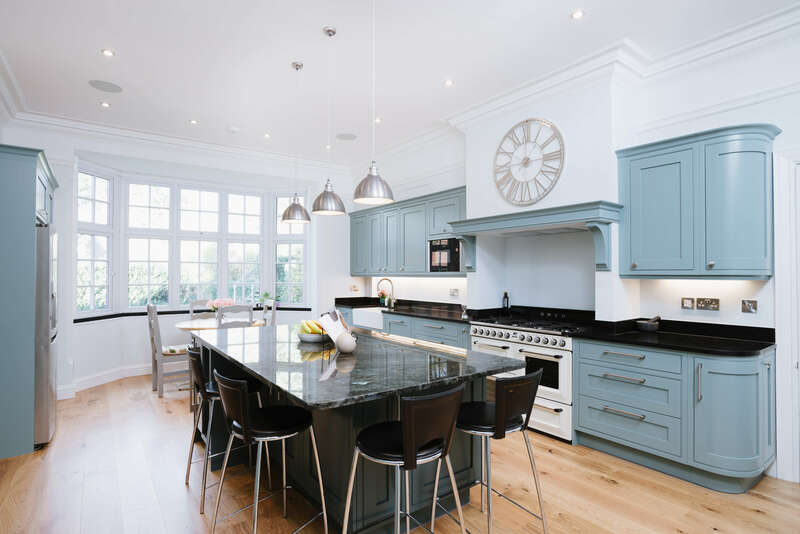 Dark Quartz surrounds the room allowing the stunning Granite island worktop to shine through. 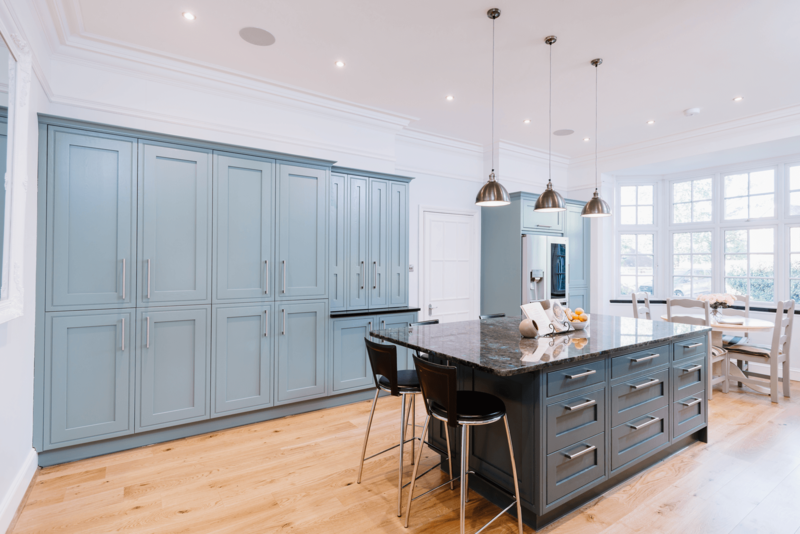 We worked with the client to ensure a light, open sentiment was retained throughout the kitchen, despite the darker colours in the furnishings and countertops. 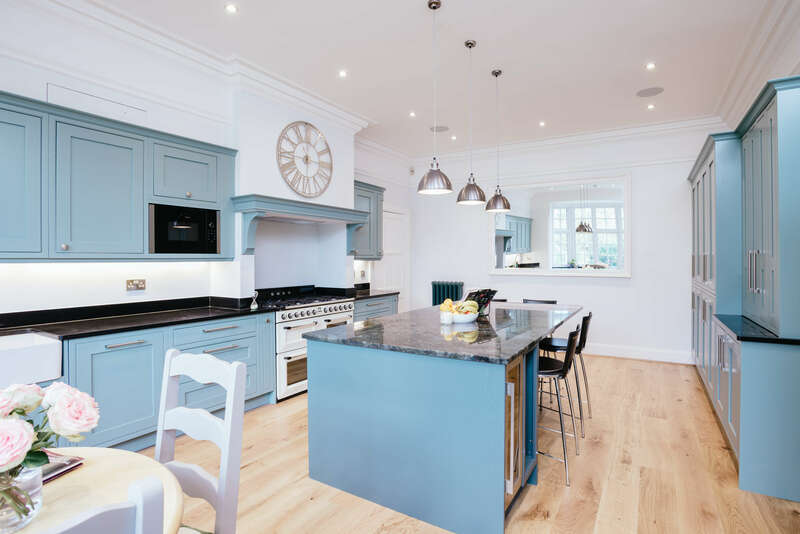 Using digital CAD designs we were able to give the client a perfect image of what their kitchen would look like when complete, before starting the project.